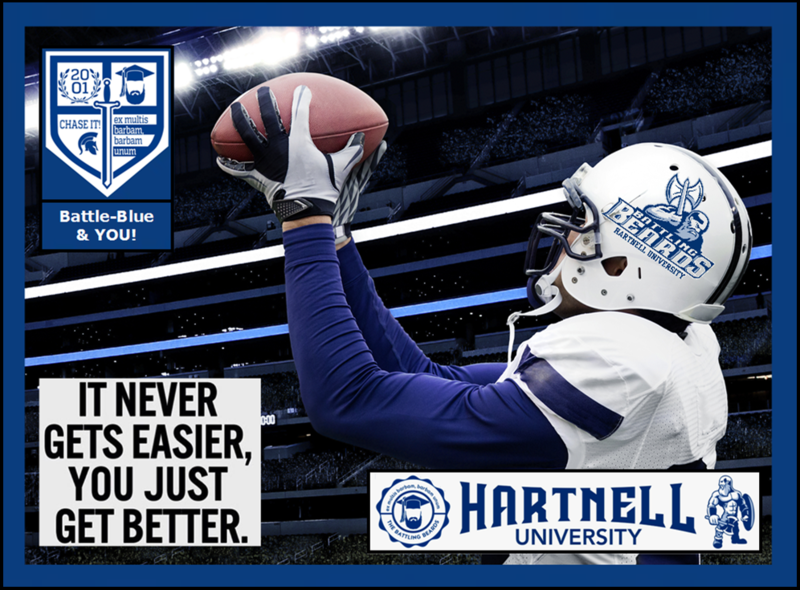 As one of the founding members of the Ohio Facial Hair Conference (OFHC), the "Battling Beards" of Hartnell University enjoy great athletic success in every sport and during every season. Governed by the U.S. 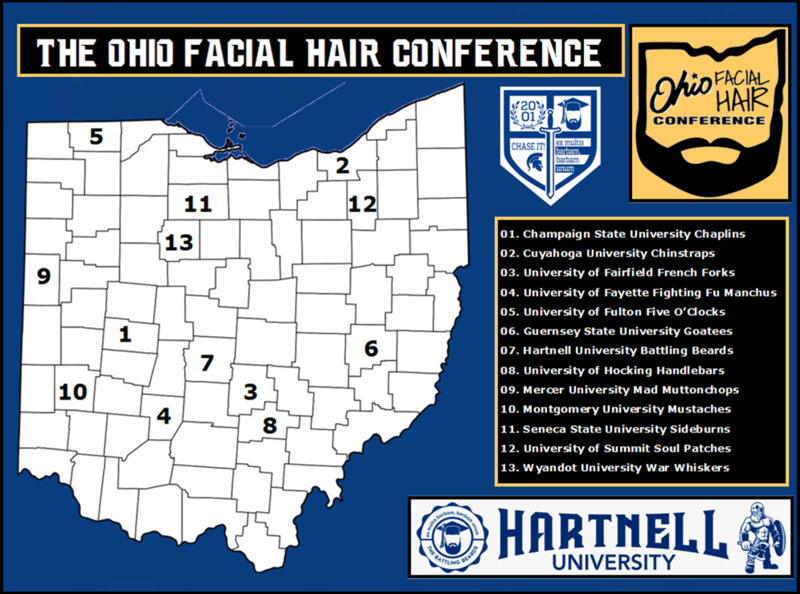 Beard and Facial Hair Association (USBFHA), the OFHC houses 13 academic and athletic powerhouses from the great state of Ohio. 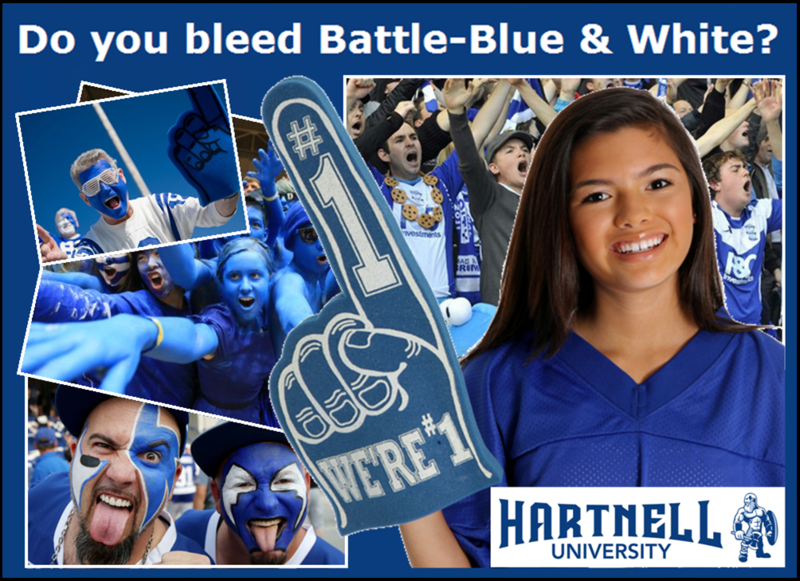 Wearing battle-blue and white, the Beards play in (and on) the nation's finest athletic fields, courts, and stadiums dotting campus, including: Hartnell Stadium, Fraser Field, and Topper Court. Boasting 90 conference championships across all sports, the Beards never disappoint! And when the Fighting Fu Manchus of the University of Fayette come to town, you'll delight in the pageantry and excitement of Rivalry Week!